New large-scale works by Kathy Temin. Photo: John Brash, courtesy of the artist and Anna Schwartz Gallery, Melbourne. 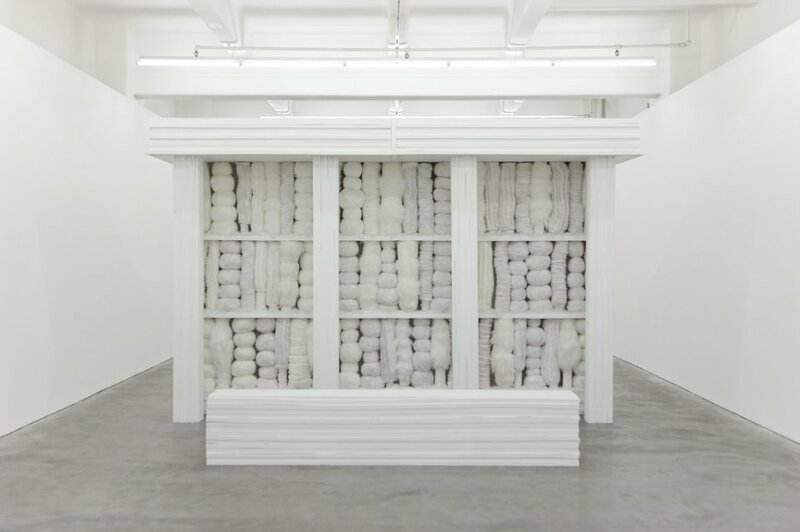 The works in the exhibition (Anna Schwartz Gallery Melbourne, 18 July - 24 August 2012) invokes structures associated with the memorial, the pavilion and the tombstone. Pavilion Garden and Tombstone Garden are anchored by the themes of remembrance and cultural displacement, as well as comfort and hope. 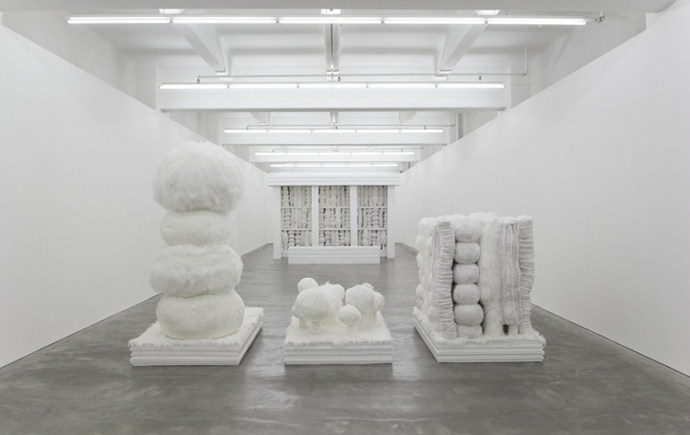 Temin's idealized white tree-forms, made from synthetic fur and are large scale architectural structures that combine minimalism and sentimentality, materiality and DIY. For Temin, gardens are witness to the memory of absent people and as a place for contemplation, growth and renewal.